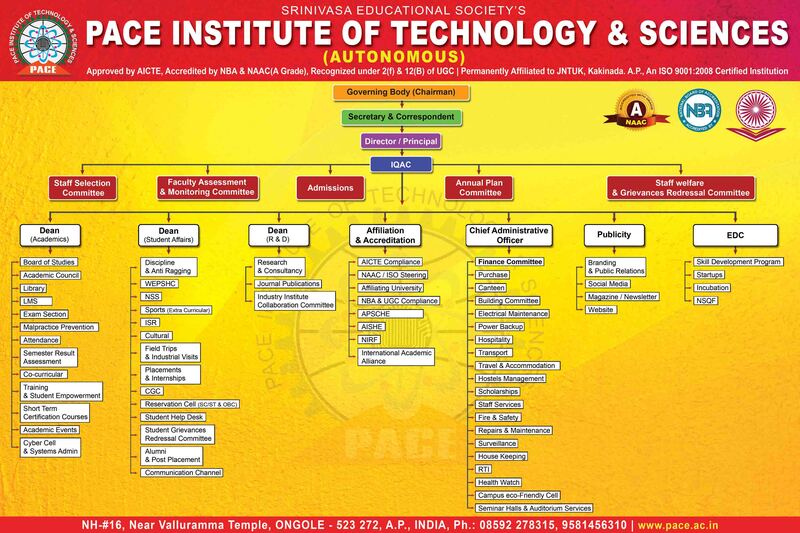 The Department of Mechanical Engineering was Established in the year 2010-11, the department offers a four year graduate program in Mechanical Engineering with an annual intake of 120 Students meeting the global demands of engineers. The faculty in the department closely interacts with the industry and brings their experience to enable the graduates meet the global challenges.The department has state-of-the-art labs and equipment to facilitate students to acquire application skills. The department provides facilities for students to learn soft skills and achieve holistic personality. 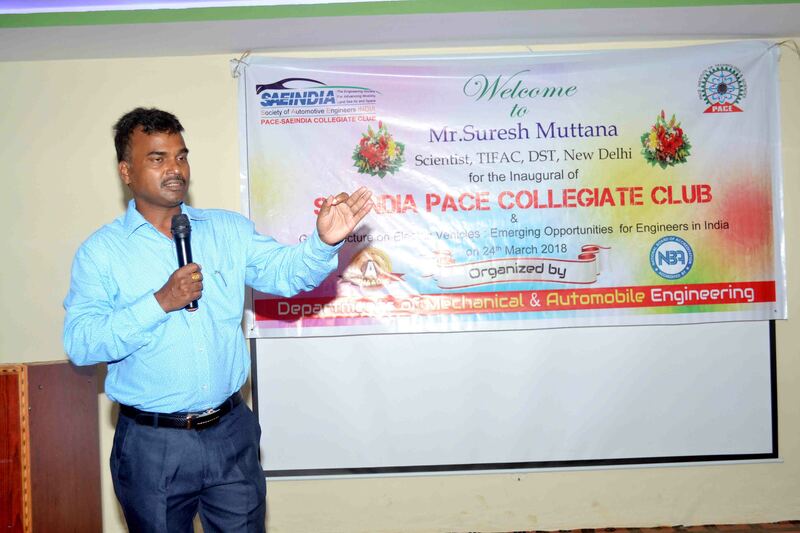 Student chapters of ISTE and institution of engineers (India) further hone Student's skills. To impart quality education to the students and enhancing their skills to make them competitive in mechanical engineering. To enhance technical skills and knowledge of the students to match with the global needs particularly with higher studies, entrepreneurship and industry. To develop the students as career competitors by utilizing the skill and excellency in the field of design, manufacturing and thermal engineering. o make the students to learn effective technical communication skills to face intellectual and ethical career challenges after graduation. To provide students with a foundation in mathematical, scientific and engineering fundamentals necessary to formulate, solve and analyze engineering problems and to prepare them for graduate studies. To inculcate students in machine design, product manufacturing and thermal engineering by adopting experimental, analytical and numerical techniques. 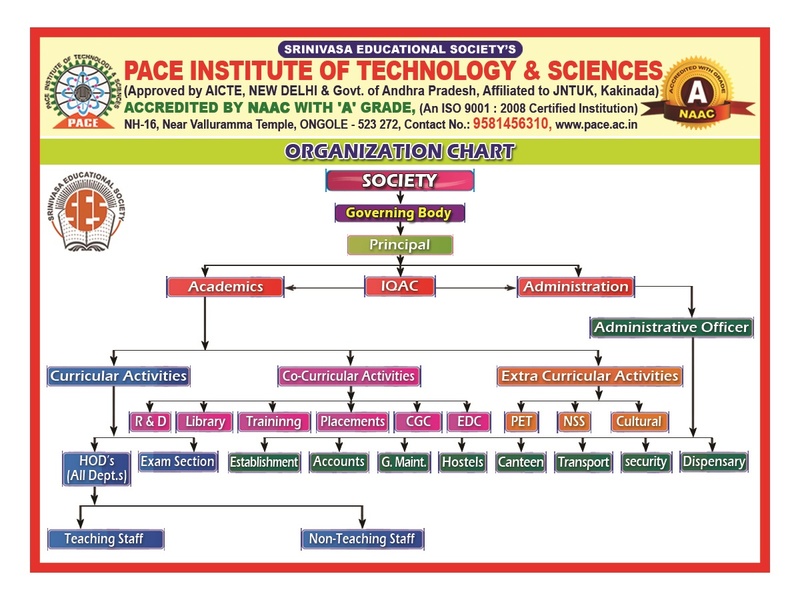 To prepare the students for successful careers in higher studies, industry and entrepreneurship that meets the needs of Indian and Multi-National organizations. 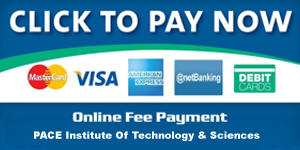 To provide opportunity for students to work as part of teams on multi-disciplinary projects. Promotes the technical knowledge, skills and attitude for the requirement of industry and society towards Mechanical Engineering. Facilitate to Plan, design, develops and tests an energy efficient manufacturing system for required engineering applications. Nurture the students towards advanced design and analysis tools for mechanical System. Mr. P.Anil kumar and CH.Manoj Kumar (III B.Tech) won 2nd prize in project expo at National level. Mr.K.Purushothamanhas been participated in a one week National Level Faculty Development Programme on â€œNoise & Vibration Control of Structure: Engineering Applicationsâ€� Sponsored by AICTE Under Maegdarshan scheme, Organized by Department of Mechanical Engineering, UCEK (A), JNTUK During 26th Nov to 1st Dec, 2018. Mr.A. Sai prasad has been participated in a one week National Level Faculty Development Programme on â€œNoise & Vibration Control of Structure: Engineering Applicationsâ€� Sponsored by AICTE Under Maegdarshan scheme, Organized by Department of Mechanical Engineering, UCEK (A), JNTUK During 26th Nov to 1st Dec, 2018. Mr.Dr. Raghuram pradhan has been participated in a one week National Level Faculty Development Programme on â€œNoise & Vibration Control of Structure: Engineering Applicationsâ€�Sponsored by AICTE Under Maegdarshan scheme, Organized by Department of Mechanical Engineering, UCEK (A), JNTUK During 26thNov to 1st Dec, 2018. Mr.K.Sudhir Chakravarthy has successfully completed theone week AICTEE-ISTE Sponsored induction / Refresher programme on â€œResearch Methodology, Design and Analysis of Experimentsâ€� conducted by Mechanical Engineering Department, RVR & JC college of Engineering, Guntur, Andhra Pradesh from 12th to 17th November 2018. Mr.Dr. Raghuram pradhan and Dr.Sukumar Puhan published a paper on â€œANALYSIS AND OPTIMIZATION OF CRANK SHAFT FOR A SINGLE CYLINDER FOUR STROKE SI ENGINEâ€� in JETIR ,ISSN 2349-5162. Mr.K.Purushothaman , Dr. Raghuram pradhan and Dr.Sukumar Puhan published a paper on â€œEXPERIMENTAL INVESTIGATION OF CARBON ALUMINIUM FIBER METAL LAMINATEâ€� in IJSRR ,ISSN 2279-543X. Mr. Dr.Sukumar Puhan , Dr. Raghuram pradhan and Sudhir Chakravarthy K published a paper on â€œThe Performance and Emission characteristics of IC Engines With Different Blends of Diesel Fuelsâ€� in Ird india. 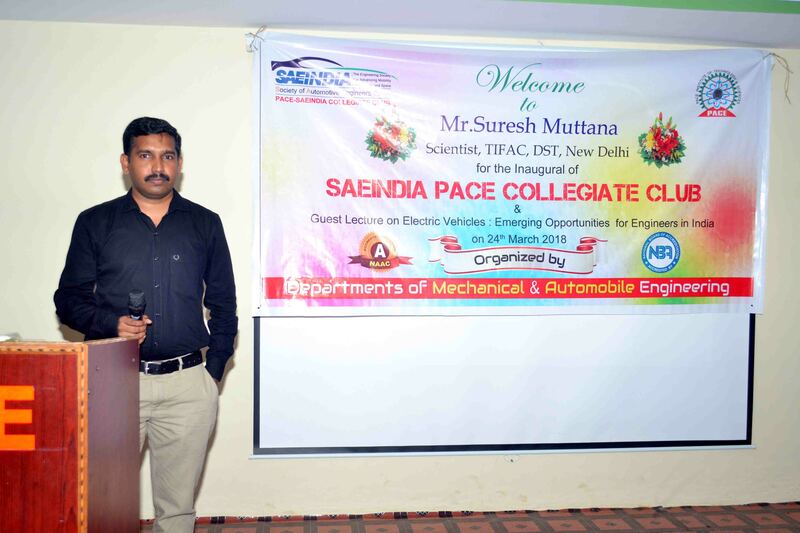 Mr.K.Sudhir Chakravarthy published a paper on â€œFabrication and structural analysis of traction gear using different composite materials to improve power transmission of gearâ€� in IJR ,ISSN NO : 2236-6124. Mr.Dr. Raghuram pradhan and Dr.Sukumar Puhan published a paper on â€œStructural And Thermal Analysis of Aircraft Combustion Chamber Outer Caseâ€� in IOSR-JMCE ,e-ISSN :2278-1684.p-ISSN :2320-334x, Volume 15, issue 4 Ver.II(Jul â€“ Aug),PP 05-17. Mr.N.Venkata Ramana has attended IE(I), APSC Sponsored one day Workshop on â€œCHARACTERISATION OF METAL MATRIX COMPOSITESâ€� Organized by Department of Mechanical Engineering, Gudllavalleru Engineering College, Gudllavalleru on 11th August, 2018. Mr.A. 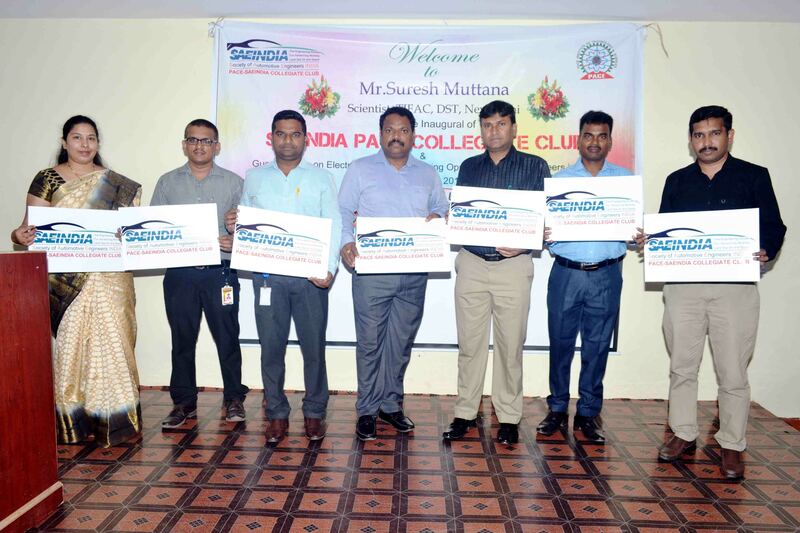 Sai prasad has attended IE(I), APSC Sponsored one day Workshop on â€œCHARACTERISATION OF METAL MATRIX COMPOSITESâ€� Organized by Department of Mechanical Engineering, Gudllavalleru Engineering College,Gudllavalleru on 11thAugust, 2018. Mr.K.Sudhir Chakravarthy participated as a Delegate in the International Conference on â€œAdvances in Design Materials, Manufacturing and Surface Engineering for Mobilityâ€� (ADMMS 2018) held at madras Institute of technology, Chennai during 20-21, July 2018. 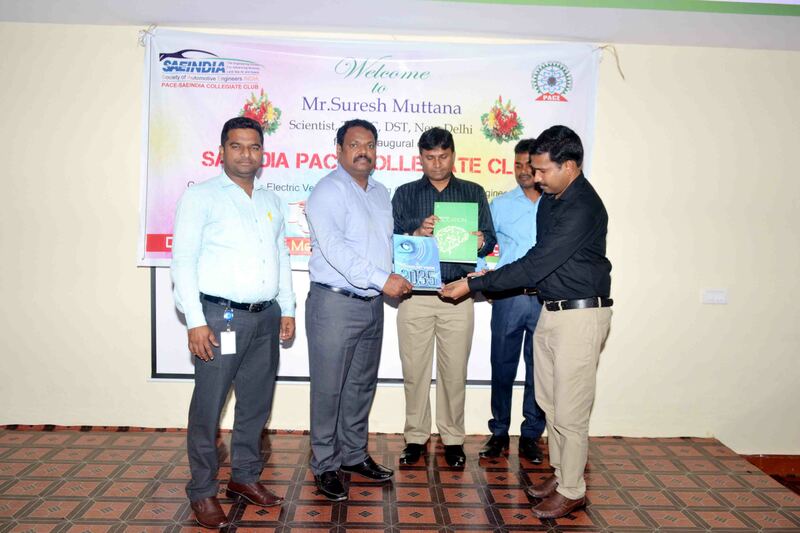 Mr.K.Sudhir Chakravarthy participated as a one-week Faculty Development Programme on Delegate in the International Conference on â€œ3D Printing Technology in Engineering Education (Batch-II)â€� Organized by the Department of Mechanical Engineering at in association with Teaching Learning centre, Notational institute of Technology Warangal During 10th â€“ 15th of July 2017. Mr.Dr. Raghuram pradhan and Dr.Sukumar Puhan published a paper on â€œEFFECT OF FUEL INJECTION PRESSURE ON DIESEL ENGINE PERFORMANCE AND EMISSION USING BLEND OF MAHUA OILâ€� in IJCRT ,ISSN 2320-2882. Mr.Jyotiprakash Bhol,Madhava Selvan andArun T published a paper on â€œComparative Study of Casting Simulation Packages used in Foundriesâ€� in IJLEMR,ISSN :2455-4847. Mr.K.Sudhir Chakravarthy and Md.Jabhihulla Shariff published a paper on "Numerical study on Formability of Different Ahs Steel Grade Sheets by using Limiting Dome Height Test- LDHT" in IJESC ,ISSN 2321-3361. Mr.K.Sudhir Chakravarthy and Md.Jabhihulla Shariff published a paper on "Comparison of Tensile Strength with Experimental and Numerical Analysis of a Sandwich panel of Rhombus and Hexagonal Honeycomb core Structures". In IJESC ,ISSN 2321-3361. Mr. Y.Sesha Rao published a paper on "simultaneous Tolerance Allocation for Manufacturing and Quality including position control using Genetic Algorithm" in NCAMMS, Issue 26,Set-2015,PP 76-83. Mr. Y.Sesha Rao published a paper on "Characterization and performance evolution of HSS Cutting tools and deep cryogenic treatment" in IJES. 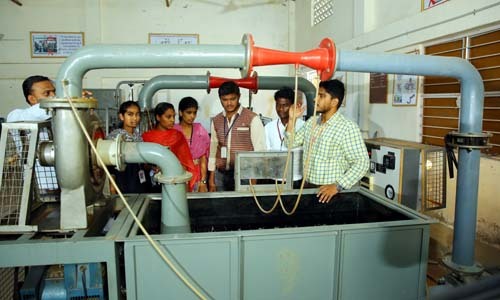 Mr. I.Vamsi published a paper on "Experimental Investigations on the Engine performance and Characteristics of compression ignition(CI)Engine Using Dual Bio-Fuel Methyl Ester As Alternate Fuel With Exhaust Gas Recirculation" in IJERA, ISSN:2248-9622,Vol.5,Issue 5,May-2015. Mr. P.Kiran Babu published a paper on "Design and Kinematic analysis of slider crank mechanism using Catia and Mat Lab" in IJAR, ISSN 2394-5869. M.V.Swamy published a paper on "Fatigue Failure Analysis of an Automotive crankshaft and to find its Behavior under Different operating Loads" in IJERT, ISSN:2278-0181,Vol.3,Issue 1,January-2014. II B.Tech - ANSYS from 05-12-2018 to 11-12-2018. III B.Tech - Creo from 04-12-2017 to 10-12-2017. II B.Tech - AutoCAD from 11-12-2017 to 16-12-2017. III B.Tech - Solidwork from 11-12-2017 to 16-12-2017. A Guest Lecture on "3D Printing " Delivered by Dr.Y.Ravikumar,NIT Warangal.,conducting by Department of Mechanical Engineering on 17-02-2018.